The sun is just about to set and the sky has a golden rosy glow that matches the mood of everyone sharing a cocktail or well deserved beer at the end of a long week. Laughter and music fill the deck that overlooks the Lynnhaven River as a boat docks quietly. 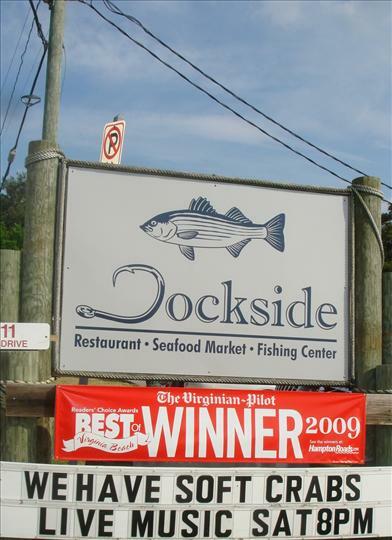 Dockside Seafood and Fishing Center in the Chick's Beach area of Virginia Beach really is the closest most people can get to beach living without winning the lottery. Nestled on the water at the mouth of the Chesapeake Bay, Dockside used to play second fiddle to Chick's on its left and Bubba's on its right, but after years of quiet success it is fast becoming a destination all on its own. catch. 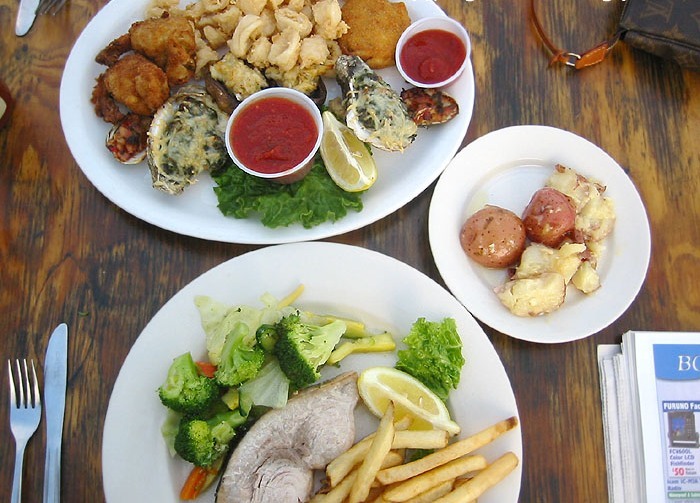 Daily specials can be broiled, blackened, fried or stuffed with crabmeat - any way you like it. The relaxed atmosphere at Dockside is perfect for a bite after a day at the beach and there is no question that children are welcome diners. In addition to the spacious dining room and garden room with a wall that the kids will have to see to believe, the romantic sunsets and cozy deck are a perfect setting for a first date or a twentieth anniversary. For lunch or dinner, by boat or by car, eat in or take out, even catch your own; you'll be sure to enjoy yourself.